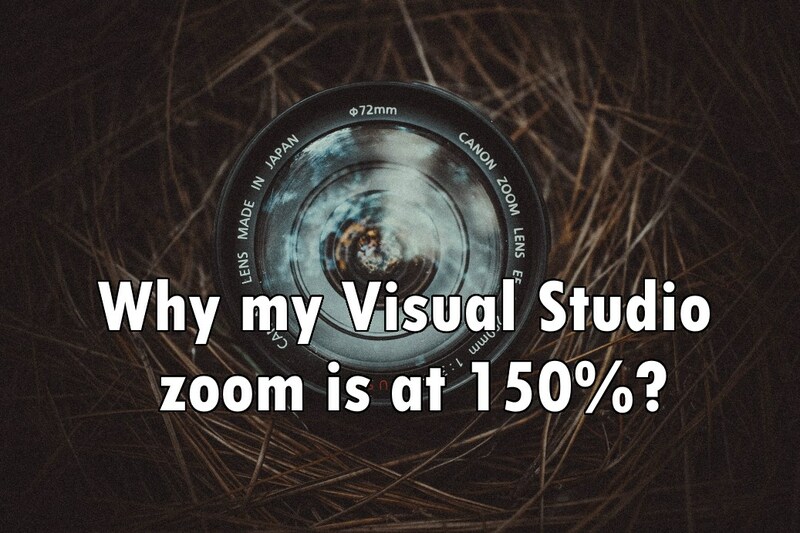 Why my Visual Studio zoom is at 150%? Well actually my vision is far from perfect as I am near-sighted but it’s not the main reason for this Visual Studio setting. The letters are bigger so there is less that can be put on the screen at the same time. Why is this good you might ask? Well the less space the shorter the functions should be as they should fill one screen (ideally). Shorter functions should are more easy to grasp and to understand. Also less space means it is more valuable and one think more before filling it with code. If you see only one piece of code that is functionality connected you only focus on that piece of code without being distracted by the rest of the lines. It a funny how this turn. I remember, years ago, I was very happy to see more and more code on the screen. I was pushing for higher resolution. For smaller font so I could see more. Today the less there is the better. I see only what’s necessary at the time. I encourage you to tray something similar – try increasing zoom in VS and see if it affects how you write your code. Founder of Octal Solutions a .NET software house. Next PostWhat are Microsoft Cognitive Services?